One of the big questions around the CCPS offices recently was, "when will Shake! release another batch of Calgary tapes?" The question was NOT, "when will Kamil Krulis start a new band?" However, both questions asked and unasked have their answer in this new (and very limited) release from our favourite Victoria-based tape-makers. 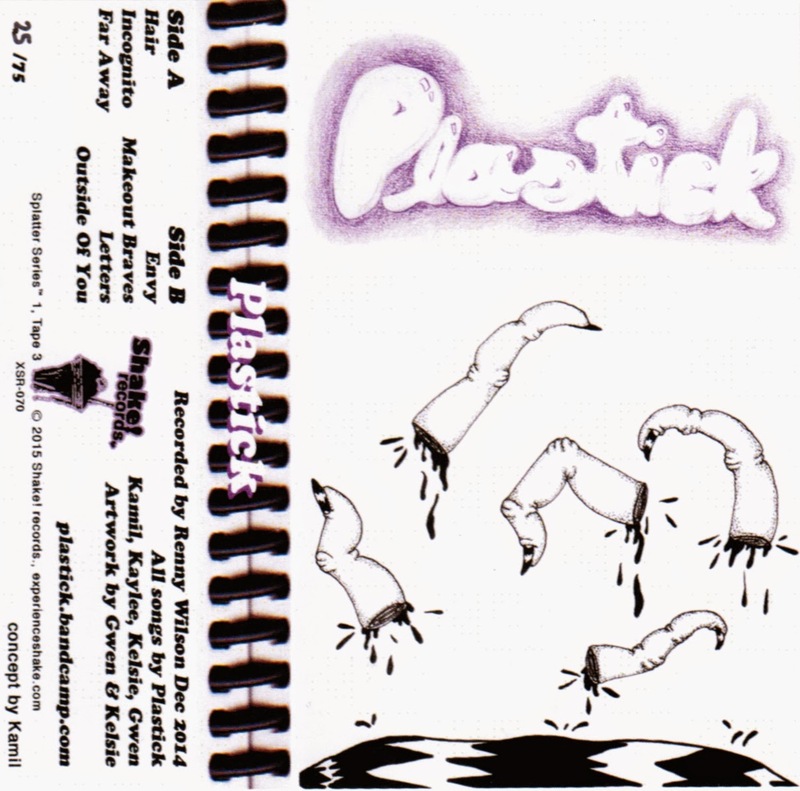 Plastick is indeed a new Kamil band, with the legendary (?) frontman (!) backed up by a band of three gals, including the drummer from Hag Face. Where Kamil's other current thang The Slabs grooves and parties, this endeavor broods and sits sulking in the corner. There's a bit of a goth/new wave vibe with this, as is the current fashion with the kids apparently - we assume chorus and delay pedals are selling like hotcakes these days. You should be able to pick up a copy of this at Sloth, or as part of Shake! 's Splatter Series 1. It is also Gwen, on Bass, from Shrapnells, n Kaylee from Blu Shorts...the drummer has a name, it is Kelsie. Various - Mr. T Presents The Tortured Minds Comp.